Granola is a staple in our house. We sprinkle it on yogurt, add milk to it, pack it as a snack in school lunches and use it in our trail mixes. We were spending so much money on bags of pricey granola that only provided a couple servings and were packed with sugar. 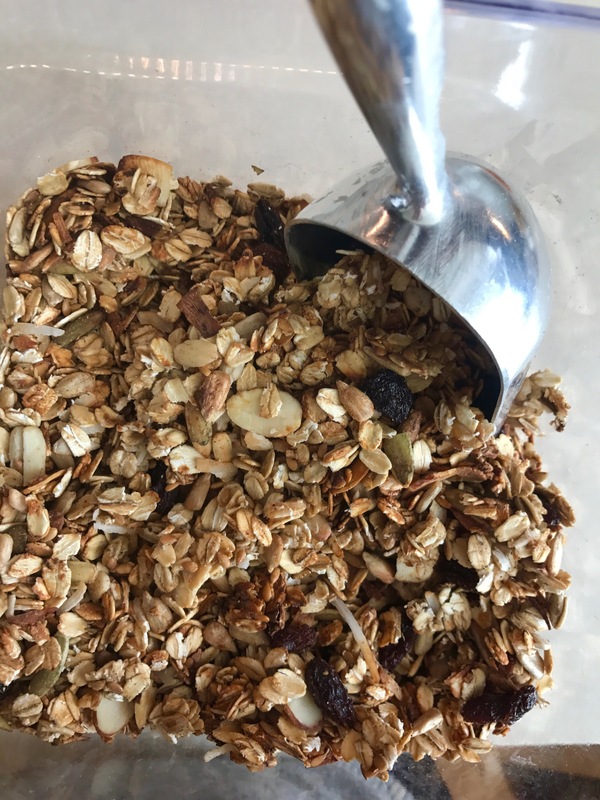 I started to experiment with recipes and came up with this perfect granola base. My girls help me to make this and in our opinion it is better than store bought. We store it in a large mason jar and always have some on hand. This is the recipe that I make for the kids but for myself I add nuts or seeds before cooking and dried fruit right after it comes out of the oven. Be adventurous with your additions and try something new each time. 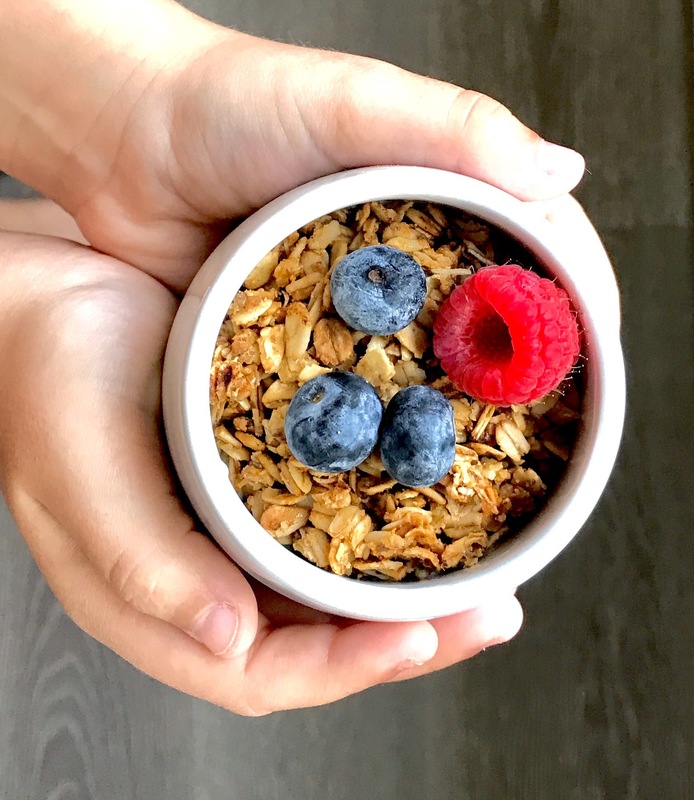 This granola also makes a great gift! We have given it before to teachers, neighbors and friends who have newborns. Enjoy!! Mix together oats, flaxseed, salt and cinnamon-set aside. In a separate bowl add the coconut oil, honey and egg white- mix well. Add your wet ingredients to your dry ingredients and mix together. Spread parchment paper onto a baking sheet and then pour your mixture over it. Spread it out into an even layer. Bake for 40 minutes , stirring every 10-15 minutes until it is golden brown. Remove from oven and let cool. Store in an air tight container (we use large mason jars) and it should stay fresh for at least a month but I doubt it will last that long! Here is the ‘grown up’ version of the granola. We added shredded coconut, raisins (after it was cooked), slivered almonds, pumpkin seeds and chopped up walnuts. Yum! Yum! My favorite with a twist! I will try the snack option!